Sonarworks Joins The MPG Benefactor Scheme! We’re pleased to announce that Sonarworks have joined the MPG Benefactor Scheme! MPG Full Members can now receive 15% discount on all Sonarworks software (including bundles with mics). “Most speakers do a decent job in a lab, but once you bring them into your room, things change. The sound you hear degrades due to room acoustics. Thus you miss critical details, and lose the ability to put your skills to their best use”. “Sonarworks Reference 3 solves this problem of lost accuracy and makes translation to other systems much better. It is a software tool that combines a measurement software with calibration DAW plug-in. The plug-in serves as an advanced DSP for your monitors that neutralises room influence. 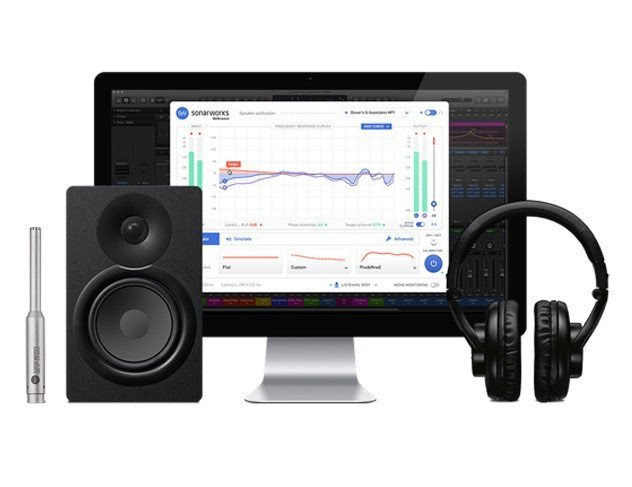 Speaker calibration offers the most accurate speaker and room calibration software that delivers reference sound you can trust, even better collaboration can take around 15 minutes to complete“. “Headphone calibration is the first plug-in to enable mixing and mastering on headphones with confidence, alleviating the problem of all headphone coloration and offering the listener a flat response perfectly tailored to the headphones of their choice“. “Reference 3 Systemwide allows using calibrated sound for critical listening from any playback source“.